Director and craftsman, David Spees understands the importance of working with and complementing the natural surroundings in every project undertaken. Our windows and doors factory is located in Katoomba in the Blue Mountains. Our team are able to design, custom build, and deliver any type of timber windows and doors that you need. 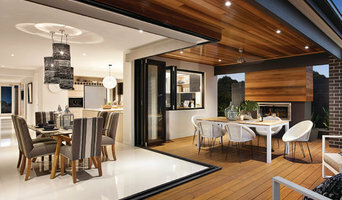 We also offer installation services to customers based in the Blue Mountains. Whether you are renovating, extending or building a new home, we can tailor custom made windows and doors to compliment your project. We are fully insured and our tradesmen are skilled and competent to complete each project undertaken with both fine workmanship and meticulous attention to detail. Being a proud member of The Window and Door Industry Council Inc. (WADIC) ensures our projects are compliant with current Australian Window and Door Standards and Codes. Ultimate Windows are specialists in double glazed energy efficient windows, because we want to change glazing in Australia. Utilising both uPVC and Thermally Broken windows and doors we provide the most energy efficient and cost-effective windows money can buy. We employ the most innovative technologies and use the best quality products to manufacture superior window and door systems that are built to last.